This open concept family home is situated on a quiet street in a mature neighborhood, just steps from Lake Ontario and a short walk to downtown Bronte. An interlocking pathway leads to a brick covered porch. Mature trees provide privacy from the street. Enter through a single door with sidelight, into the bright and spacious foyer, which has sightlines to the rear yard. A coat closet is conveniently located, as well as a two-piece powder room with built in painted wood vanity with Cesar stone countertop and brushed nickel hardware. A mud/laundry room with built in cabinetry offers an alternative entry point from the side yard and easy access from the garage. Just off the foyer through double French doors is the formal living room which features stained hardwood flooring and a large window overlooking the porch and front yard. 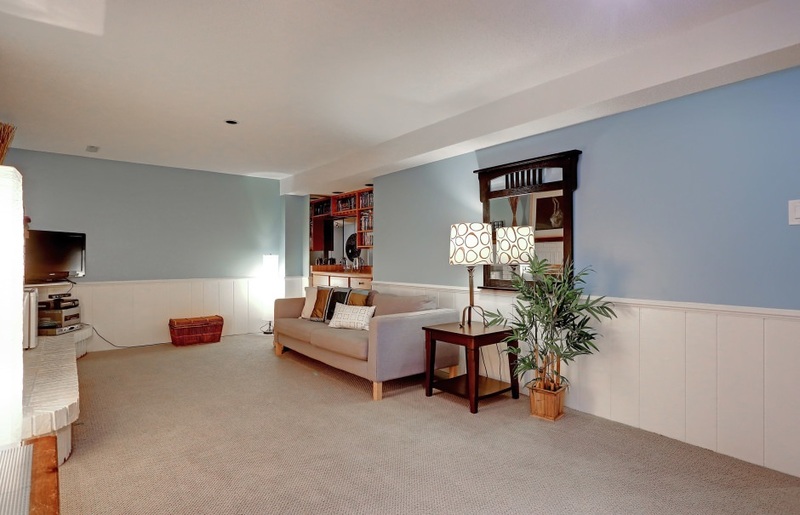 The formal living room opens onto the separate dining room, with stained hardwood flooring, central lighting fixture and a beautiful bay window overlooking the rear yard. The dining room opens conveniently onto the newly renovated gourmet kitchen. Sprayed custom cabinetry offers ample storage, and an oversized central island with granite countertop provides for plenty of prep space and seating. Two large windows and another bay window, in addition to oversized pot lighting and two central lighting fixtures over the island make the room exceptionally bright. Brushed nickel hardware, a ceramic tile backsplash and stainless steel appliances bring a modern element to the space. The stained hardwood flooring continues through the kitchen and into the open concept family room, the focal point of which is the gas fireplace with marble tile surround and painted wood hearth. Double sliding glass doors provide access the rear deck and yard, with views of the inground pool. Through the foyer and up the traditional wood staircase with runner, is the second level landing with carpeted flooring, central lighting fixture and linen closet. The spacious master bedroom, separated from the other bedrooms, features a seating area, his and her closets, carpeted flooring, and a three piece ensuite with built in dark wood vanity, shower with bench seating and frosted glass window overlooking the rear yard. 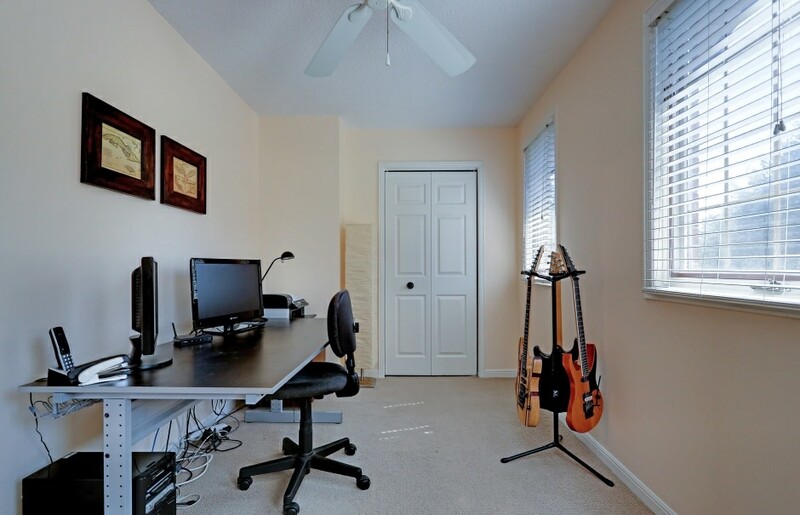 Three additional bedrooms offer deep closets, carpeted flooring and plenty of natural light. The main bath has a built in double vanity, deep tub/shower combo and frosted glass window overlooking the rear yard. The finished lower level offers a spacious fifth bedroom, two piece washroom, and large Rec room with a wet bar and charming wood burning fireplace with oversized painted brick hearth and natural wood mantel. 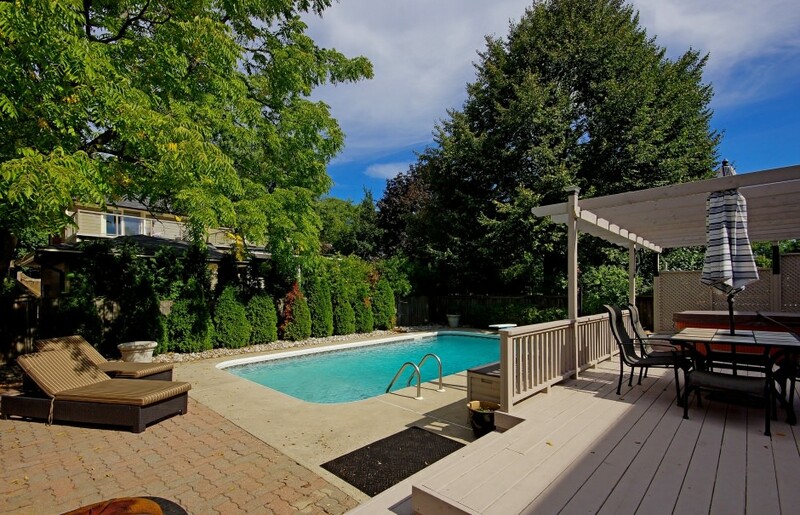 The private rear yard is ready for entertaining, with an expansive wood deck with pergola and privacy screening, inground pool and hot tub.